Sixty percent of millennial travelers – more than half of them young parents — select their holiday destination based on food according to a recent survey done by Hotels.com. According to the report, a sizable number of travelers chose Paris (27%), Tokyo (23%) and Rome (22%), with additional top foodie cities including London, Barcelona, New York and Madrid. Fortunately, one company is making it easier for millennial parents and their kids to enjoy culinary treats closer to home. Sodexo, a food services and facilities management company, has improved dining for families heading out on local outings, daytrips and weekend getaways in major American cities. Sodexo’s chefs stationed at major museums and attractions across the country have created new and innovative food experiences by offering classic choices with a twist. 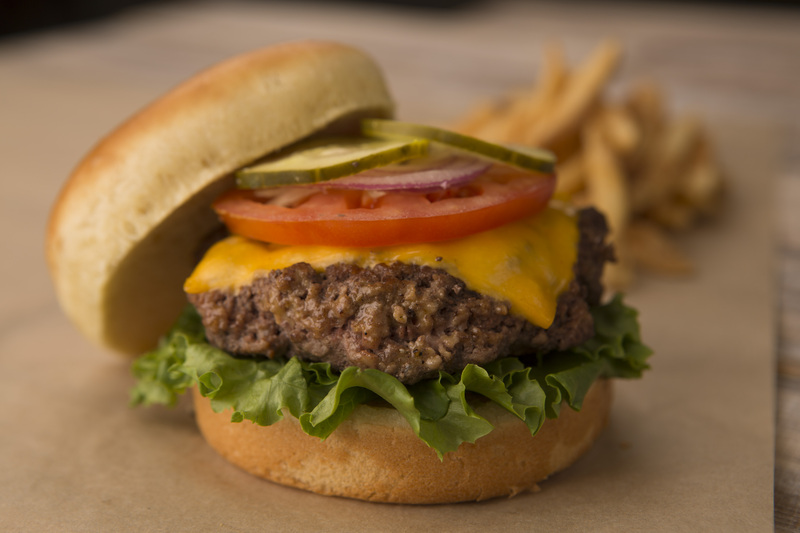 The Mushroom Swiss Infusion burger blends mushrooms with beef to enhance the flavor and cut fat and calories. Yes, all the fixings of a S’more top this pretzel served at the Shedd Aquarium. 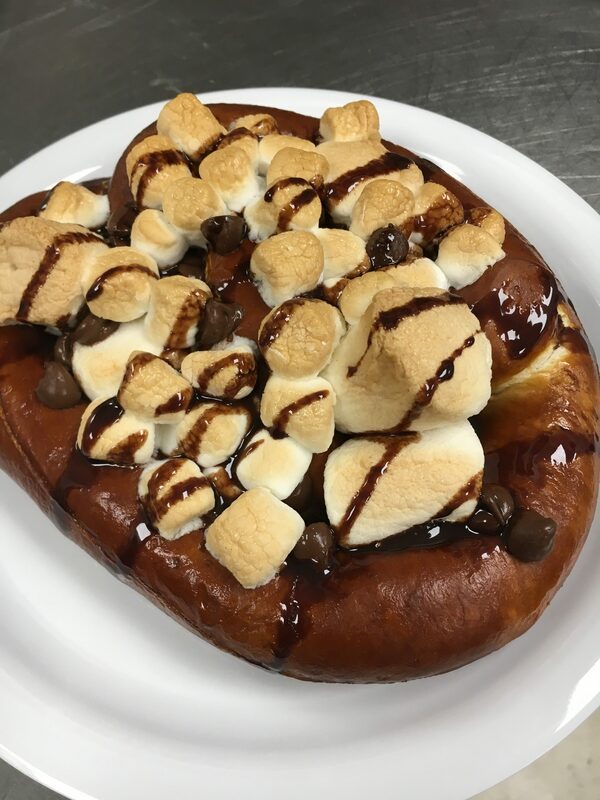 The S’Mores Loaded Pretzel combines two all-time favorites, a soft pretzel with melted marshmallow, chocolate and graham cracker crumbs. Designed by James Beard award-winning chef Suzanne Goin and executed by Sodexo, Torchio pasta is combined with tomato, spinach, Parmesan cheese and garlic breadcrumbs, bringing the restaurant to concert-goers’ seats at the Hollywood Bowl. The Chicago Botanic Gardens serves the best of summer to visitors at its outdoor beer garden. The heirloom tomato and watermelon salad is comprised of seasonal ingredients, including baby arugula and red veined sorrel, organic watermelon and heirloom tomatoes, locally sourced; Hidden Springs Farmstead (Wisconsin) feta, ice wine vinegar, balsamic syrup. 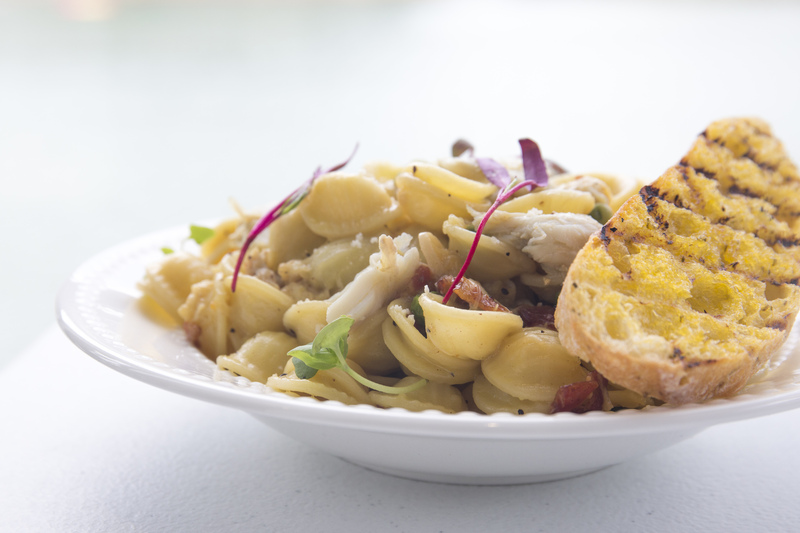 Try the blue crab carbonara at the Virginia Aquarium, but don’t tell the crabs! Celebrating the best of the region, the chefs at the Virginia Aquarium offer a Blue Crab Carbonara with crab from the Chesapeake Bay; bacon from Smithfield, Virginia; white wine from Williamsburg Winery; and jalapeno hot sauce from Speedy’s in Virginia Beach. In celebration of the honey bee and its contribution to the world, Sodexo is rolling out the Honey Bee Waffle Cone cart. Guests will be able to beat the sweltering DC heat with a waffle cone filled with vanilla ice cream, vanilla honey drizzle and cinnamon granola. Sounds like a lot of great dining options for summer vacationers. Are you worried about spoiling the kids? Don’t be. A whopping 76% of millennial travelers told the Tasty Travels survey that special food experiences stood out among their most memorable holiday moments. And making memories is what family travel is all about. This post was sponsored by Sodexo.